Current Affairs for SSC CGL 2016: SSC CGL 2016 is going to be conducted shortly. To help the students we are providing you important current affairs for competitive exams. Here is a series on current affairs which is very useful for SSC CGL 2016 and other competitive exams. 5 June: World Environment Day: World Environment Day (WED) was observed globally on 5 June 2016 with theme Zero tolerance for the illegal trade in wildlife. The day aims at inspiring more people to take action to prevent the growing strain on Earth’s natural systems from reaching the breaking point. Novak Djokovic: World number one Novak Djokovic on 5 June 2016 won 2016 French Open title. In the final clash in Paris, Djokovic defeated Britain's Andy Murray 3-6, 6-1, 6-2, 6-4. Odisha: Odisha in the first week of June 2016 became the first Indian state to give transgender people social welfare benefits, such as a pension, housing and food grains. 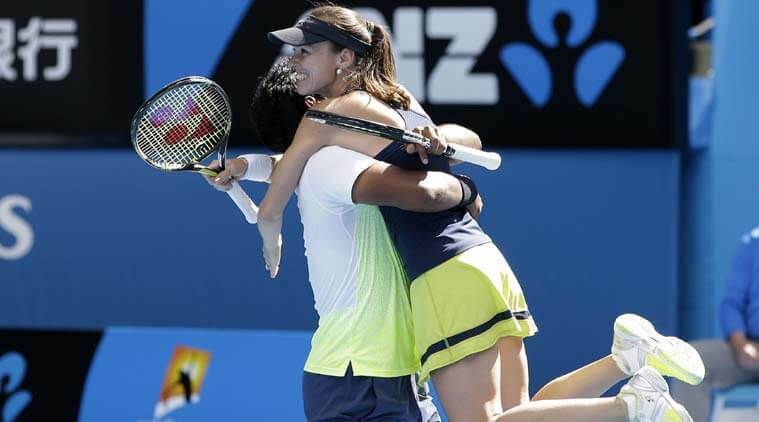 French Open Mixed Doubles 2016: India’s ace tennis player Leander Paes and Martina Hingis of Switzerland on 3 June 2016 won the French Open Mixed Doubles title. Nita Ambani: The founder and chairperson of Reliance Foundation, Nita Ambani was on 3 June 2016 nominated as a candidate to be a new member of the International Olympic Committee (IOC) headquartered at Lausanne, Switzerland. V Narayanasamy: Congress Legislature Party leader V Narayanasamy was sworn-in as Chief Minister of the Union Territory of Puducherry on 6 June 2016. Lieutenant Governor Kiran Bedi administered his oath of office and secrecy along with five ministers at Gandhi Thidal in Beach Road. Manohar Aich: Legendary Indian body builder and India’s first Mr Universe, Manohar Aich died at his north Kolkata residence following age related health issues on 5 June 2016. He was 104. N Ramachandran: N Ramachandran, the president of Indian Olympic Association (IOA) was awarded the prestigious Olympic Order by the International Olympic Committee (IOC) on 1 June 2016. He was honoured for his outstanding services to the Olympic movement. Miss USA 2016: Deshauna Barber, a serving Army Reserve officer of United States (US), was on 5 June 2016 crowned as the Miss USA 2016 at the Miss USA competition 2016 held at the T-Mobile Arena off the Las Vegas Strip. 8 June: World Oceans Day: The World Oceans Day was observed globally on 8 June 2016 with the theme Healthy oceans, healthy planet. The main focus of this year's theme is on curbing the plastic pollution. Hockey Junior World Cup 2016: The International Hockey Federation (FIH) on 7 June 2016 announced that men’s Hockey Junior World Cup 2016 will be played in the Indian city of Lucknow, Uttar Pradesh. The men’s Hockey Junior World Cup 2016 will be played between 8 December and 18 December 2016. Maria Sharapova: Maria Sharapova was suspended for two years from Tennis by the International Tennis Federation (ITF) on 8 June 2016 for using a prohibited drug. She will remain under suspension for two years, commencing on 26 January 2016. Narendra Modi: Prime Minister Narendra Modi on 9 June 2016 concluded five-nation visit to Afghanistan, Qatar, Switzerland, the US and Mexico. During the five-day tour between 4 June and 8 June 2016, Modi met with Afghan President, Ashraf Ghani; Amir of Qatar, Sheikh Tamim Bin Hamad Al-Thani; President of Swiss federation, Johann Schneider-Ammann; US President Barack Obama; and Mexican President Enrique Pena Nieta. Forbes List 2016: Forbes on 8 June 2016 released the list of 2016 World's 100 Highest-Paid Athletes. The list has been topped by soccer icon Cristiano Ronaldo with earnings of 88 million US dollars.